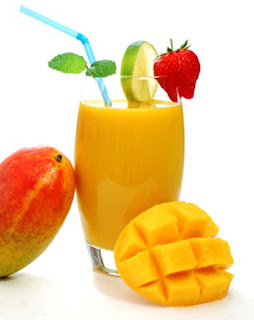 Place the softer fruits in the bottom of the blender jug or pitcher and place any ice or frozen fruits at the top. Place all the ingredients in the pitcher at once. When you place the softer produce and liquids (juices or milks) in the bottom, the blades will purify the soft items and the liquids easily, creating slurry that the hard items (ice, hard vegetables or fruits) can then more easily slip into and blend. If you pack too much hard fruit or veggies in to the bottom, the blades will pulverize the hard fruit easily, but the softer fruit may not drop down into the blades because the hard pulverized produce hasn’t become slurry. Add ice as an ingredient to cool down the smoothie or to create the pureed frozen viscosity of the drink. If you are using frozen fruits and vegetables instead of fresh, you’ll already have the frozen viscosity taken care of, so you’ll not need to use as much ice as the recipe calls for if at all. Adjust your smoothies after you have blended everything. Take a small taste and make sure the flavor and viscosity is right. You can drop a few more ice cubes in to chill it more or add more fruit to sweeten it up. Keep the blender on for 3-4 minutes to get the smoothie completely blended.